Sergey Kir, Jeff Koons, the MoMA, and Conceptivism. I was always interested in the arts. At one point, I switched jobs and my new investment bank’s office location was right next door to MoMA in New York, which was a major step in furthering my artistic knowledge. I would spend lunch breaks and after-work time in MoMA for many months wandering around the floors. 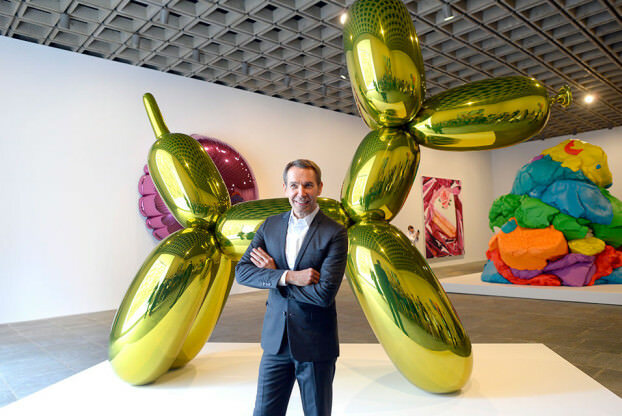 Then one day in 2014, I learned that Jeff Koons’s retrospective was going to be held at another museum in the area, the Whitney Museum. I attended that exhibition and familiarized myself with his revolutionary art and ambition. It really inspired and fascinated me! I learned that Jeff, like me, spent many years working in the Financial Industry, and before that, worked at the MoMA in New York for several years, spending time in the same building where I had become a weekly visitor. I was surprised to find myself in a similar situation to that of a renowned artist. At that time, I was going through some mid-life crisis issues and was looking for ways to express myself and find purpose – that exhibition and Jeff’s story really inspired me and showed me what I might do with my life. I was eventually able to meet Jeff and tell him about the inspiration he had provided. I feel that my story is somewhat similar to how, many years ago, Jeff Koons met Salvador Dalí, which inspired him to become the most successful artist of our generation. Conceptivism was born from my desire to create a new vision in contemporary art. This new artistic style is meant to emphasize the idea that contemporary art is entering a new era that traces back to art history, manifesting itself not as a nihilism of the old ideas and principals, but rather embraces the innovation and progress available through the prism of science (and chance). 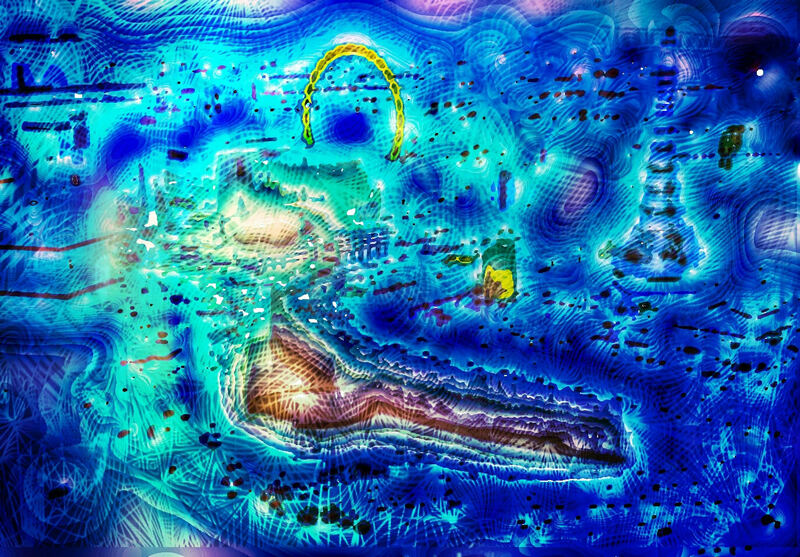 My process of creation is unique compared to other artists’ in its technique and combination of various aspects of production, which allow me to create complex and scientifically embellished imagery. I was blessed to form a vision of the world from many different perspectives and was thrilled with my realizations of the interconnections between various sectors and aspects of life – science, music and art – and that process of connecting the dots created an array of ideas and visions that I have started to express and represent visually. How financial modeling and analysis lend a hand in creative development. I spent a lot of time thinking about how aspects of financial modeling and portfolio optimization techniques, knowledge which I acquired in my professional career in financial and quantitative risk management, could be integrated into the artistic process to unite the artistic and analytical worlds, synthesizing the capabilities of hand drawing, digital photography, and scientific methods. Many of my works of art incorporate typical setups of a financial quantitative model, with its limits and goals, paths and parameters, as well as subject representations identified, and the model is then set to run within a degree of freedom to produce visual representations. The model generates an image or components of an image through computer generated “magic,” with the artist creating the ultimate visual form, which can then be used as a final product or as an intermediate step in the creation of the final piece. Any number of model runs can be repeated until the artist is completely satisfied with the final output. My conceptivist works of art were created using these techniques, aiming to craft the look and feel of a work that was created by the human hand, but in fact generated by a computer program and optimized using financial modeling. Looking at what Roy Lichenstein did, and reversing it. 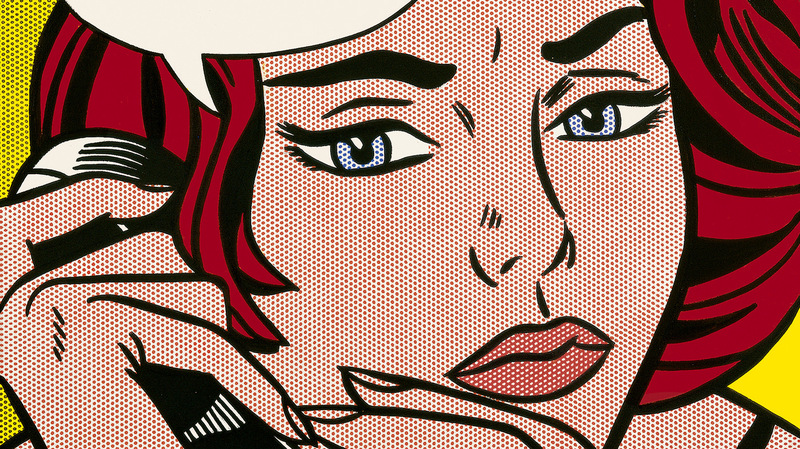 The aim of Conceptivism is the opposite to the intended goals of artists such as Roy Lichtenstein, who created art that had an industrial look but was created by hand. In my work, I complete the circle and attempt to create a look similar to that done by the human hand but using an industrial process as my brush. In the end, the final work must be composed manually so any imperfections can be cleaned and polished. Sometimes, it’s the computer process that optimizes the color combination and composition of an artwork, selecting the best alternatives from many potential combinations of ways that a certain idea can be represented. Other times, the work starts as a hand drawing and is digitized from there. The art styles that led to Conceptivism. Conceptivism was originally born from my fascination with vivid colors, financial modeling, and technology. 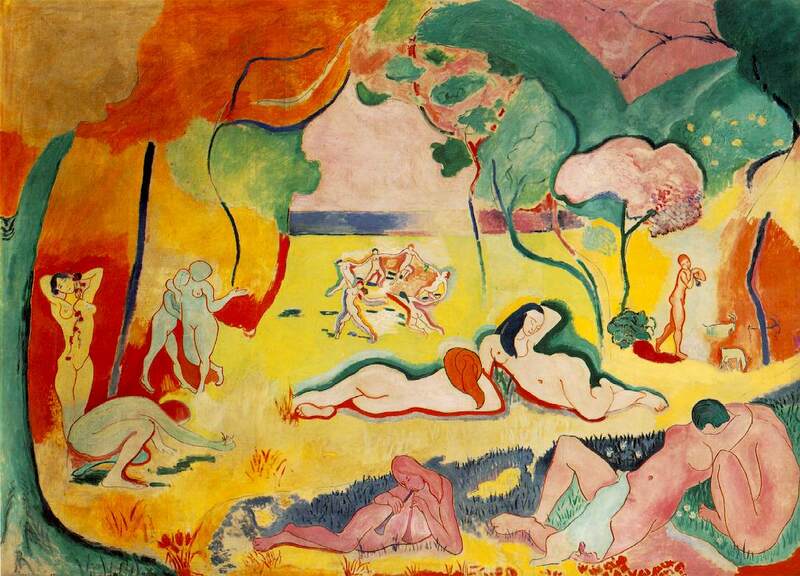 Much inspiration for the creation of this style came from the works of Fauvist artists (most notably, Matisse), who tried to capture the transformations of light in their paintings. 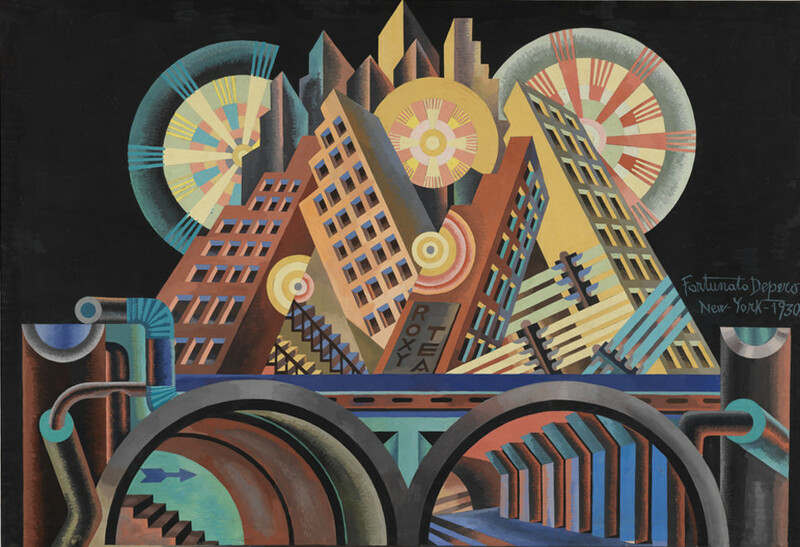 Other influences include the works of artists in the Russian and Italian Futurist movement, which celebrated the industrial approach, a love of speed, a fascination with machinery, and the spirit of a youth unobstructed with the interpretations of the old ideas and principles of art; This in turn conceived, among other things, the concept of “Zaum,” which proclaimed that art must reach outside of barriers of language to influence the spectator. An explanation of Conceptivism with architecture. Conceptivism can be usefully revealed through a comparison of the architectural differences between the Romanesque and Gothic styles of architecture. Romanesque style architecture characterizes massive self-sufficient forms that are usually built on a solid ascending foundation capable of supporting heavy blocks of stones and walls. 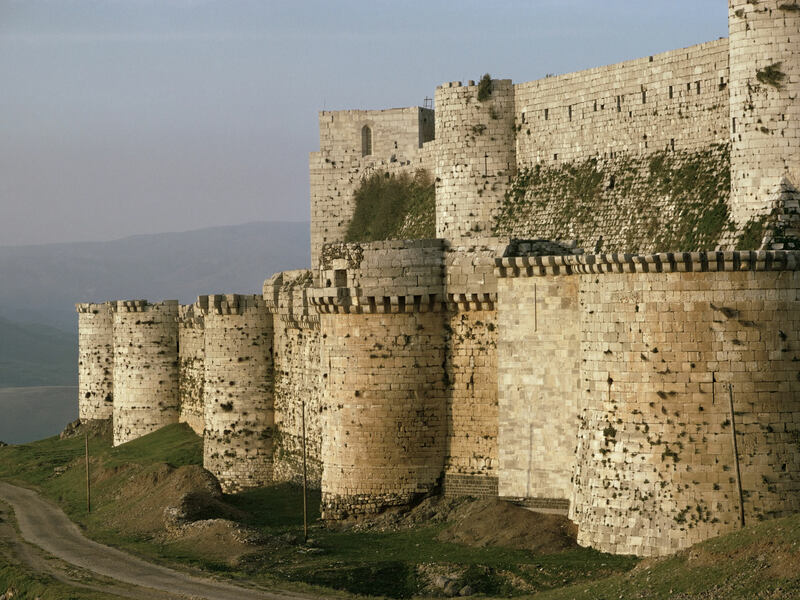 If a block of stone or even one entire chunk were removed from a Romanesque style construction, nothing would happen to the entire structure – it would continue to stand, relying on its thick massive walls to remain held together. Gothic architecture is totally different. 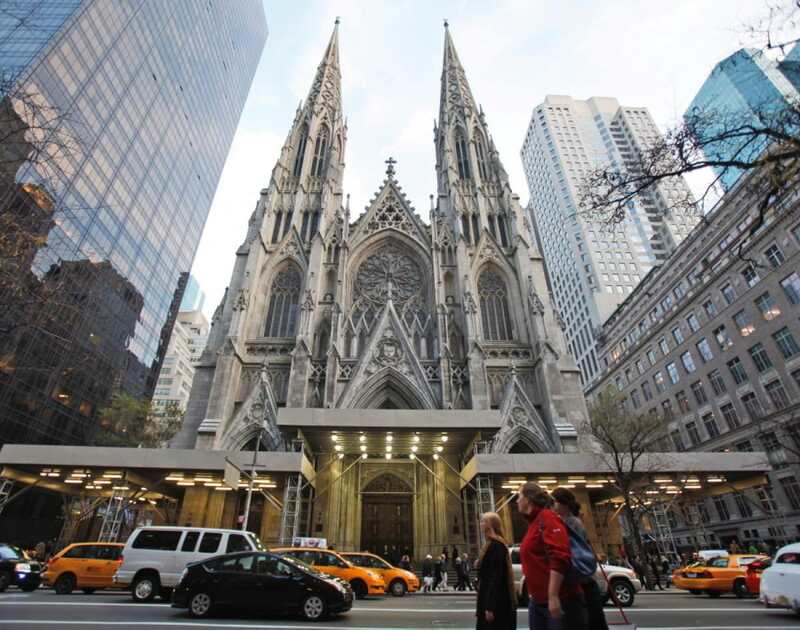 Each component of a Gothic structure is an energy receptacle that is built into a network of dynamically connected components that, with the forces streaming through, hold the structure together. Exclusion of any of the individual components from a Gothic structure will most likely lead to a collapse of the entire structure because every stone has a unique place and purpose. 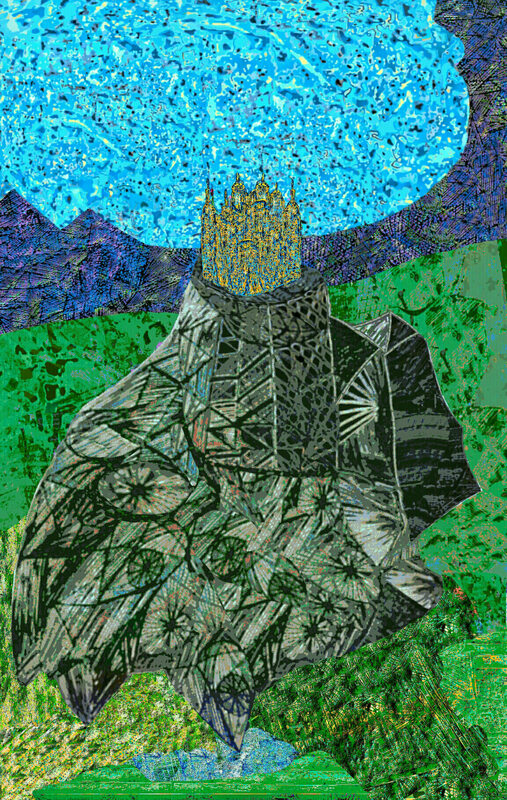 Conceptivism uses the same premise of Gothic architecture in that every component of an art piece must be important and must add to the overall quality. Like Gothic architecture, the final product should create an immersive experience for the spectator. Conceptivism = the idea of gesamkunstwerk + quantitative modeling and optimization + vivid imagery + social relevance. The goal of Conceptivism does not stop at just the visual – it aspires to create a genuine, dramatic, and provocative experience for the spectator, which would take him/her beyond just appreciation of the visual aspects of art, but would also incite passion and altruism, cultivate humanity, provoke thinking, enrich imagination, and motivate curiosity. Why was this work of art created? What major philosophical ideas are embedded and represented? What cultural and epistemological references are being captured? What dialectical ingenuity is employed in the artwork? Are there any connections to the existing trends, new ideas, scientific theories, philosophical postulates, etc.? With Conceptivism, I have attempted to incorporate a self-synthesizing impression of art that includes characteristics of the notion of the “absolute work of art” or gesamtkunstwerk (an English word adopted from German, and originally used by Wagner in his opera productions). The aim is to incorporate various forms of artistic expressions, drama, emotional motivations and philosophical ideas in a single art piece. 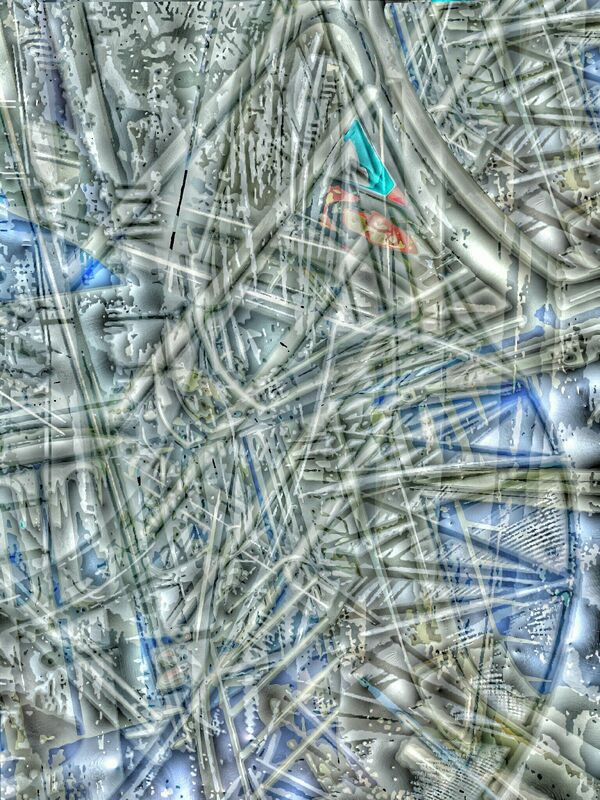 The idea of gesamtkunstwerk, when applied to the execution of that concept in the modern technological and industrial state, becomes Conceptivism. Want to see more of Sergey Kir’s work or learn more about Conceptivism? Visit his ARTmine page or meet Sergey himself at Agora Gallery’s exhibition “Unbound Perspectives” this fall 2016 from August 26 – September 15.